Belmont police say they arrested a landlord in connection with a complaint that he had set up a video camera and recorded one of his tenants. Police Chief Charlie Franklin said officers responded to a complaint from a North Street resident who claimed she had found a video camera hooked up in her bedroom. Officers traced the camera back to an outbuilding next to the victim’s residence. The outbuilding belonged to the victim’s landlord, Mickey Cook of 603 North Street, which is in south Belmont. When officers received consent to search the outbuilding they found a TV monitor that was connected to the camera by wire, officials said. Police officials said also found a VCR recording device, several floppy disks and pornographic material. Officers then conducted a search of Cook’s residence and found several videotapes along with a computer believed to be linked to the crime, Belmont police officials said. Belmont police officials said they have charged Cook with the misdemeanor charge of secret peeping. 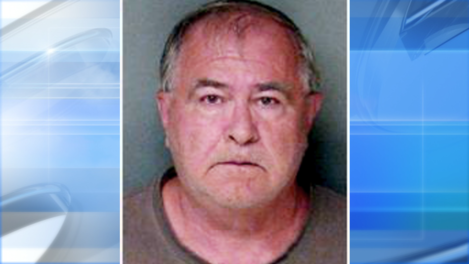 Cook was placed in the Gaston County jail under a $2,500 secured bond, officials said.